Marcus Romer is not what you’d call a cycling obsessive. He has a bike which he pedals to and from the offices of Pilot Theatre in York, but he’s not one for long distance rides and has never, ever worn Lycra. 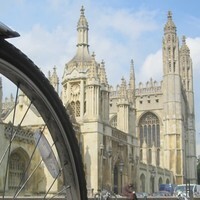 However, he knows the route the Grand Départ will take through Cambridge more intimately than most. He’s walked it, he’s cycled it and along with HistoryWorks, which designs installations for museums and galleries, he’s also used it to inspire a brand new art project. Romer hopes Cycle of Songs will stand as a lasting legacy of the Grand Départ long after Froome, Cavendish and the rest of the riders depart for France. So how did the York director get to be at the heart of Cambridge’s Le Tour celebrations? Romer has form when it comes to these kinds of outdoor events. It was Pilot Theatre, along with Leeds-based Slung Low and York Theatre Royal, which successfully brought the First World War to the streets of York with last year’s production of Blood and Chocolate. Telling the story both of the chocolate factory workers who saw their brothers, fathers and husbands disappear to the front and how the landscape of the city changed forever as its people struggled to reconcile beliefs of conscientious objection against family loyalties, it was a triumph. 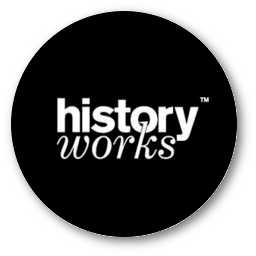 Back in Cambridge and having secured Arts Council Funding for Cycle of Songs, Romer, along with the team at HistoryWorks began collecting largely untold stories of the city’s history inspired by the various places that the Tour will pass on Monday. Thomas ran a livery stable outside the gates of St Catherine’s College and when his horses weren’t needed he would rent them out to the students and lecturers. Perhaps unsurprisingly he found that his fastest horses were the most popular, so to prevent exhaustion he established a strict rotation system meaning customers could not take their pick of the horses, but could only hire the next one in line. It was his take it or leave it policy that became known as Hobson’s choice. Once the nine stories had been chosen, they were given to a group of poets, writers and musicians, including children’s novelist and poet Michael Rosen, Horrible Historiescomposer Dave Cohen and spoken word artist Hollie McNish. Their challenge was to help devise nine new songs which form a Cycle of Songs trail through the city. It was another lesson he learned from Blood and Chocolate which was performed by a large community cast, with volunteers also manning every department behind the scenes. To view the article on the Yorkshire Post website, first published on 5th July 2014, click here.